relaxation, business and the arts. 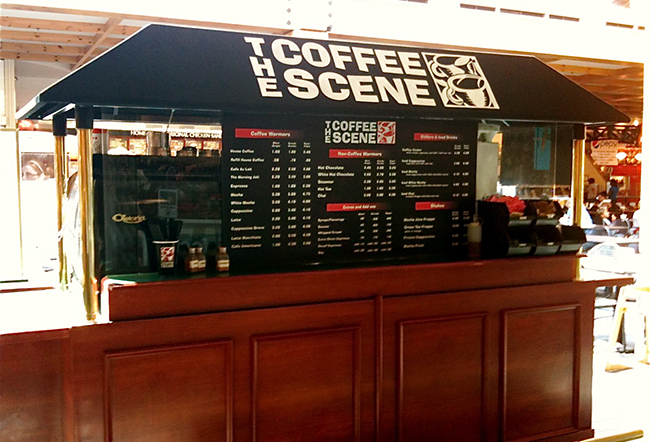 Get a glimpse of The Coffee Scene! 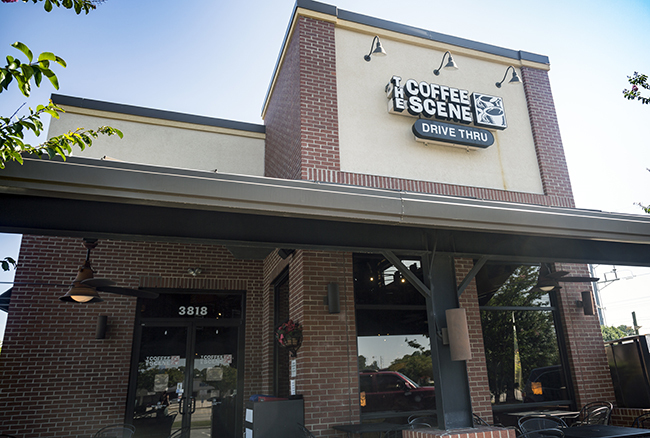 The Coffee Scene has a rich history in Fayetteville, North Carolina as it grew from a shop inside a shopping center to its very own building off Morganton Rd and McPherson Church Rd. 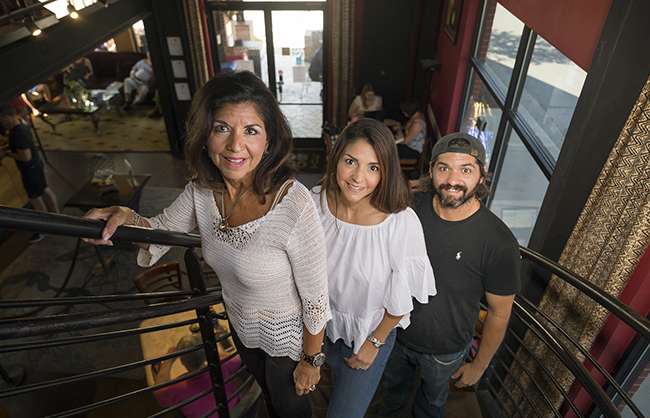 It has serviced Fayetteville through the years as much more than a simple coffee shop. 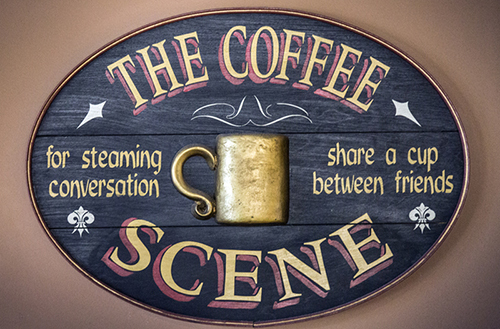 The Coffee Scene prides itself in the arts by inviting local musicians and artists alike to demonstrate, gather, and enjoy the ambiance that is The Coffee Scene. 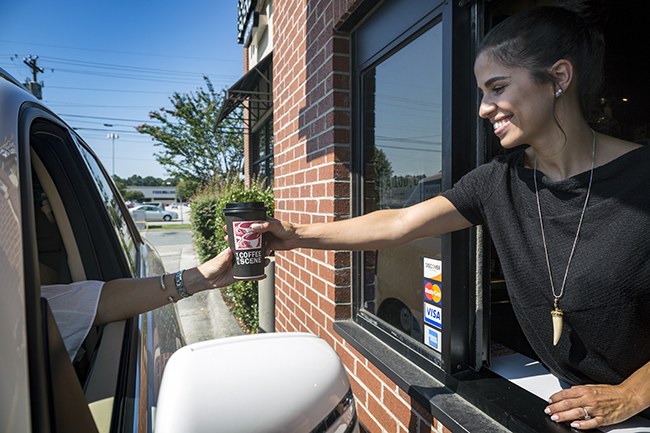 Work, relax, or drop by the drive-thru for a quick fix of your favorite beverage. Click below for even more information and history! Made fresh for each order to get your fix quick. The Drive-Thru is a necessary feature for many on-the-go people today. 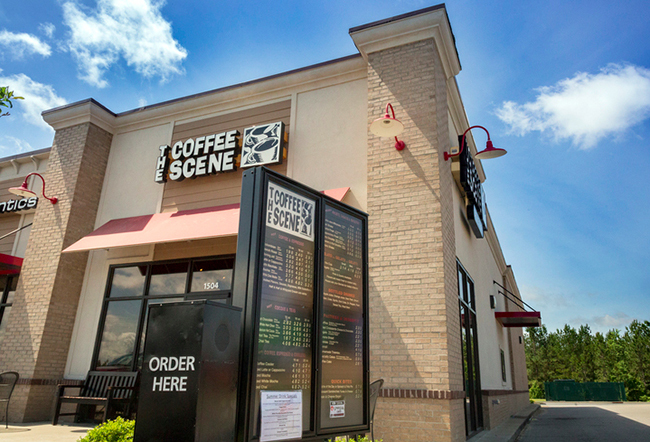 At The Coffee Scene we make each order fresh and with a careful swiftness to get you in, out and on to your next destination. Swing through during store hours to pick an order up to go! 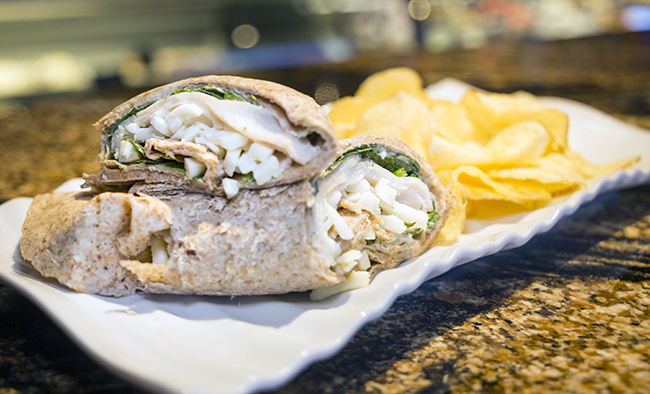 Made to order just the way you like it everytime. 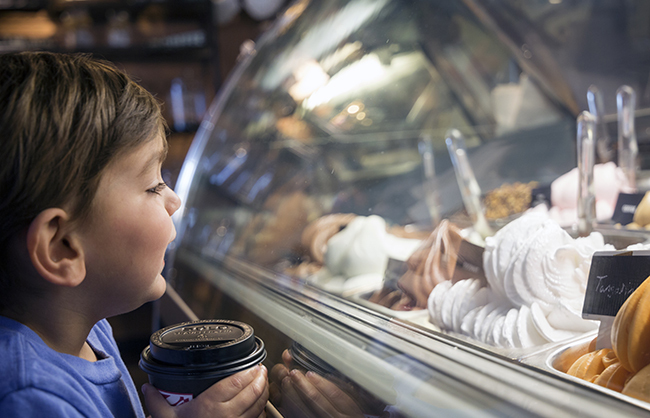 Our specialty, seasonal, and signature drinks are popular with customers and offer a variety of unique coffee drinks. 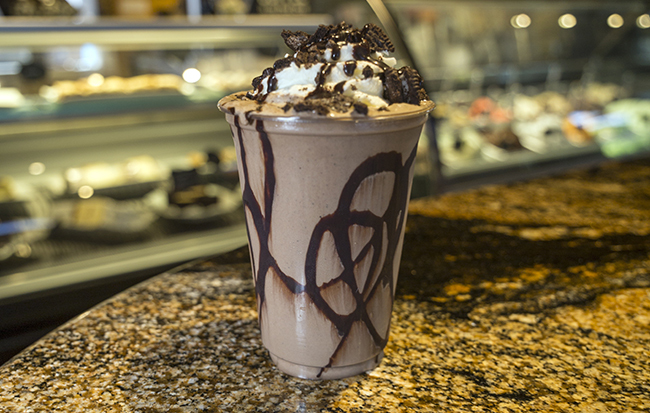 Our ‘Mocha Java Milkshake’ is one of the more popular and favorite drinks. We also cater to custom drinks that will satisfy individual tastes. 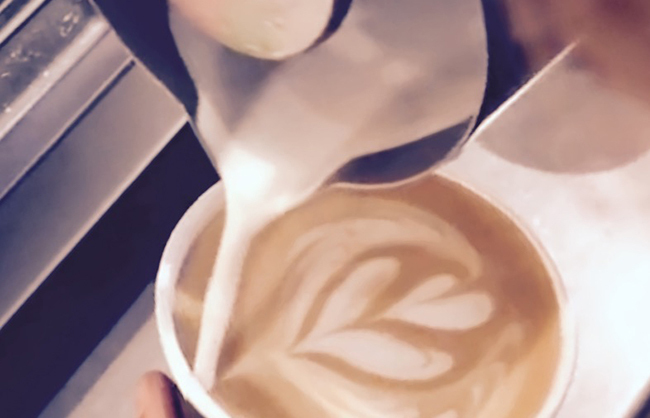 Our Baristas are true artists in their own right. 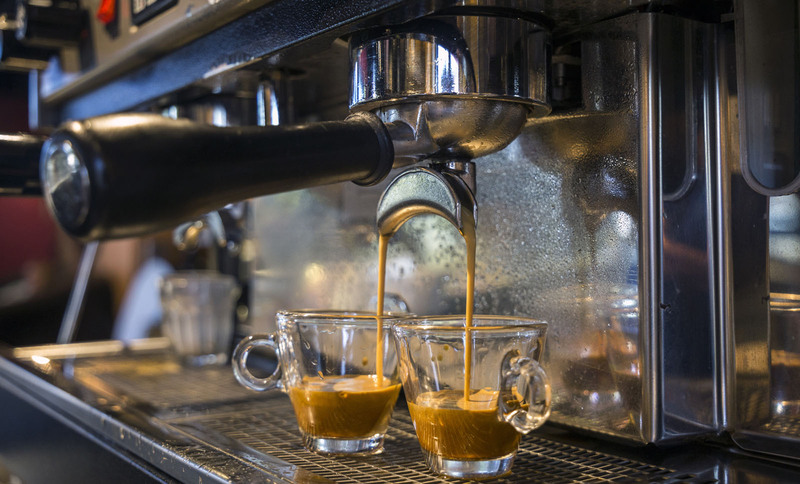 We believe there is an art to espresso mixology. 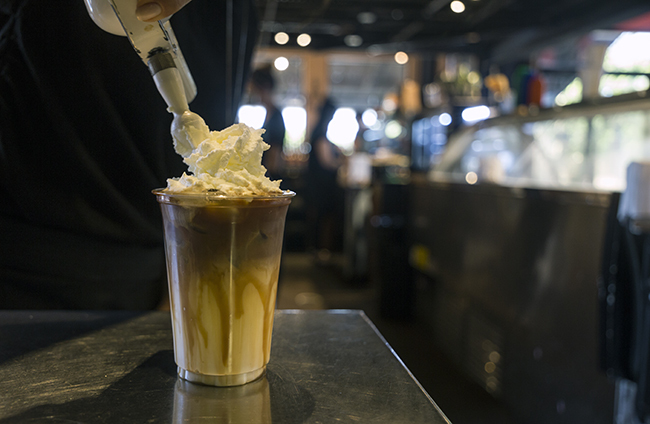 The Baristas are skilled in their preparation of drinks and they display art in their performance, offering a fun and creative atmosphere. 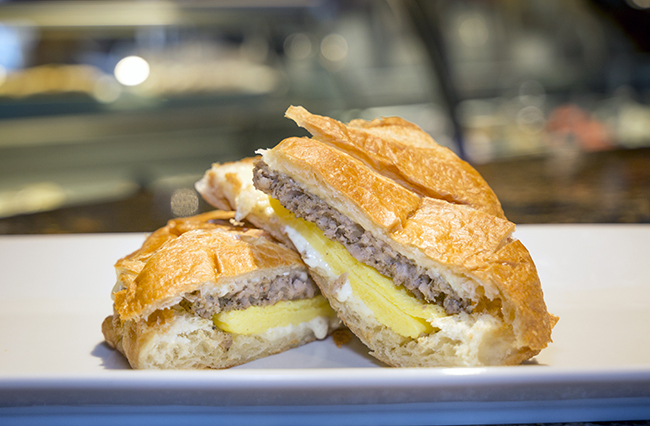 Grab a delicious bite to eat with a beverage for breakfast or lunch. 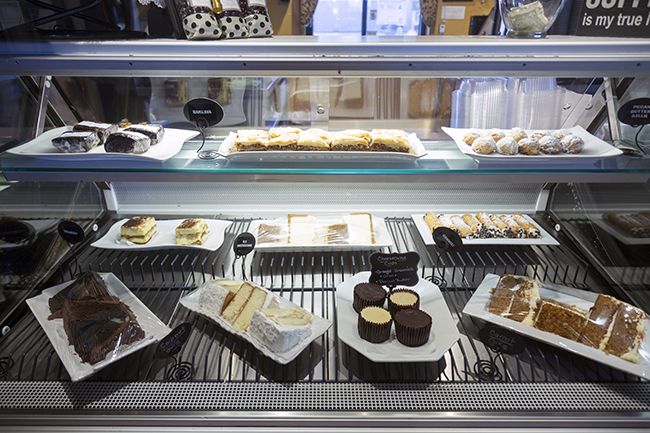 Grab a delicious bite to eat with Grab-n-Go made-to-order breakfast sandwiches, danishes, cinnamon buns, quiche sandwiches, or yogurt parfaits. 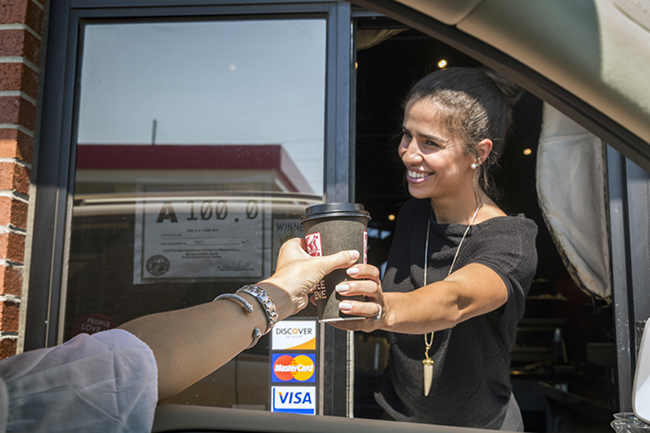 We also offer non-coffee drinks for the customer on the go. 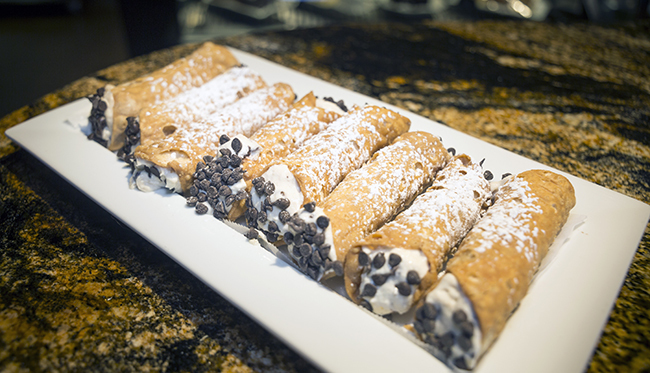 Delicious treats made in-house fresh for your enjoyment. 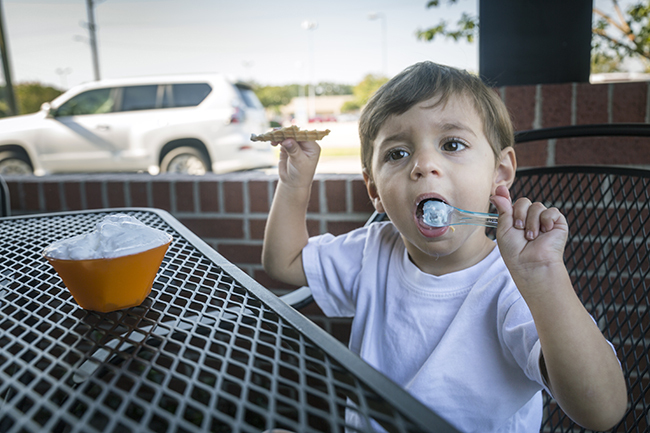 Italian-style ice cream low in fat for you sweet tooths. 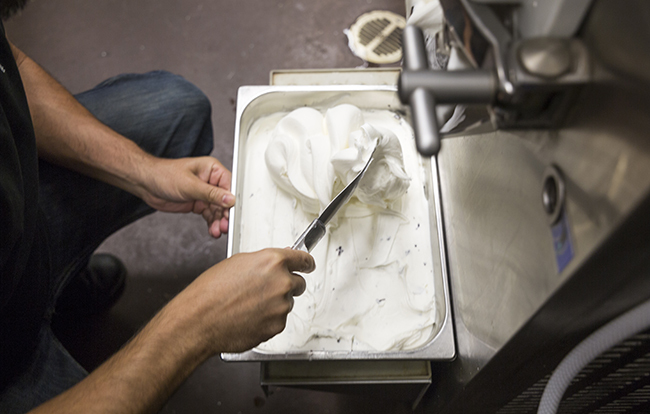 Italian-style ice cream has less fat than ice cream with a more intense flavor. 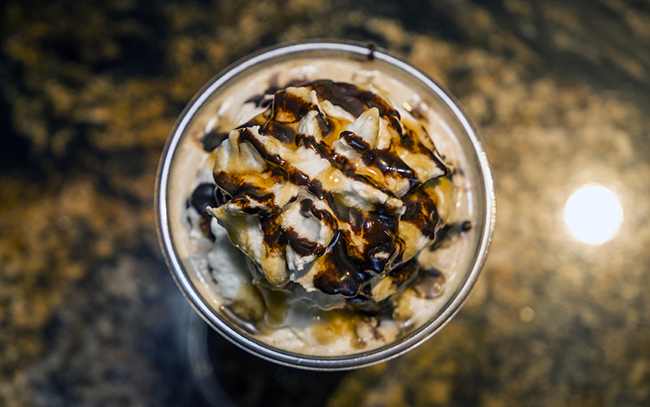 The Coffee Scene uses only fresh and natural ingredients that give a great creamy texture. 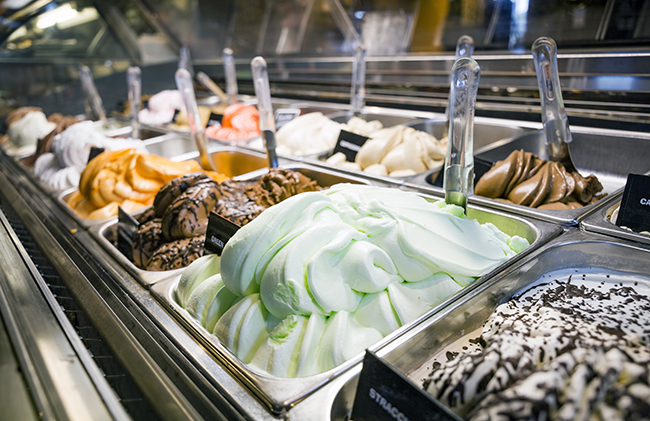 Gelato and Sorbetto are creatively displayed with a variety of flavors. We offer sizes in Small, Medium, and Large cups as well as homemade waffle cones or even pint and quart sizes. 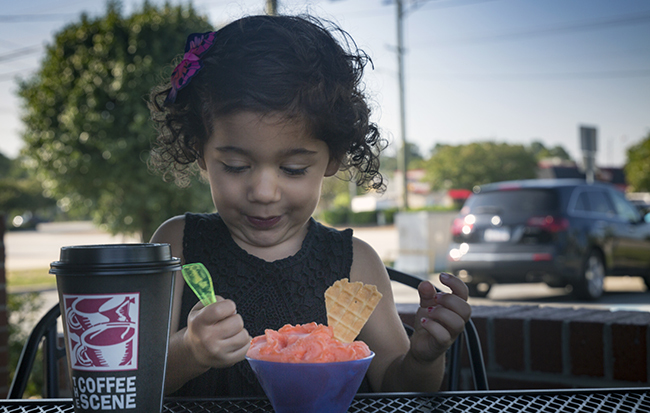 Tuesdays and Saturdays we offer Buy One Get One Free Gelato! 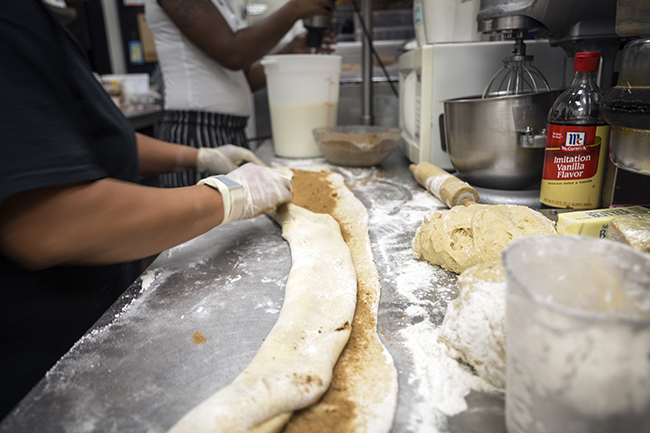 Our professional bakers work daily to provide our customers with fresh and delicious goodies made in house. Awesome local events to get your creative juices flowing! 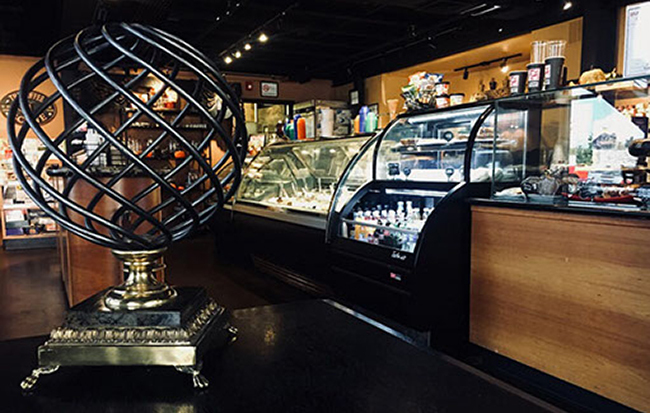 Poetry, arts and music have always had a strong connection to The Coffee Scene. 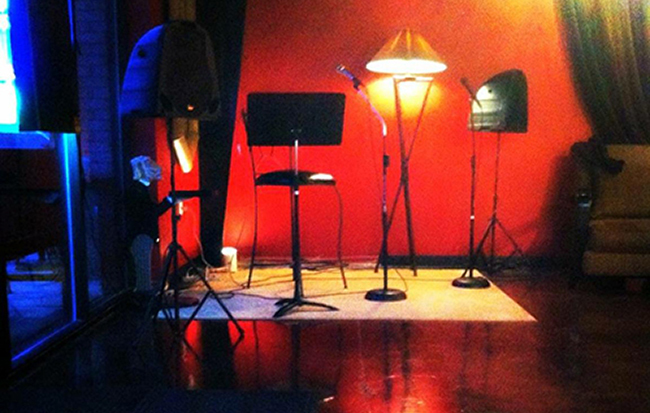 Our poets gather every Sunday night for Poetry night and our musicians gather at night on Mondays in Fayetteville, NC and Tuesdays in Cameron, NC.